These are the best pillows! My husband and I have tried so many different brands and types (side, back, soft, medium, firm, etc.) but none of them ever hold up to their promises. 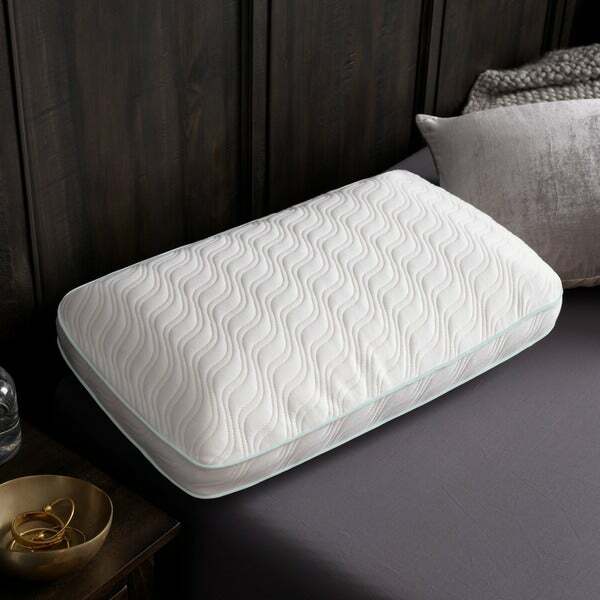 Experience your best night's sleep with the TEMPUR-ProForm High Profile Medium Pillow by Tempur-Pedic. TEMPUR Technology adapts to your unique weight, shape, and body temperature, ensuring support for your head, neck, and shoulders throughout the night. The TEMPUR-ProForm High Profile Medium Pillow offers durability you can count on. I sleep so much better and do not toss and turn. My husband tried the pillow and he loves it to I had to order another pillow. The pillow is so comfortable you don’t wake with a neck ache and your head doesn’t fall in deep as other pillows. Just a spa feeling after sleeping you wake up refreshed! I finally got a good nights sleep with this pillow. This pillow is thick, the profile is actually too high since it doesnt sink down much. Kinda hard on the head too. I wish it was a bit softer and would give a little more, then it would be perfect. Right now, it hurts my neck. This is an awesome pillow. After having surgery and body aches and pains, I was able to sleep like a baby and wake up rejuvenated. I have had several Family members order this pillow, based on my recommendation, and they absolutely love it as well. It provides a great night deep sleep. I purchased this pillow along with the body pillow and the two make a great combination for a wonderful nights sleep. This pillow is just what I expected it to be and I am pleased with my purchased. I am a side sleeper and works well for me. A very good pillow. Would recommend. This is the best pillow ever. It is magical. Once you lay on it, you are out. There is one problem with it though, it is very difficult to get up in the morning. This went back. The quality is horrible and the pillow is very stiff. Not as expected at all. Not as expected but then again it’s hard to find a great pillow. Bought this pillow for my daughter, she finally getting a good night sleep. I love my pillow wished I would have ordered it sooner.